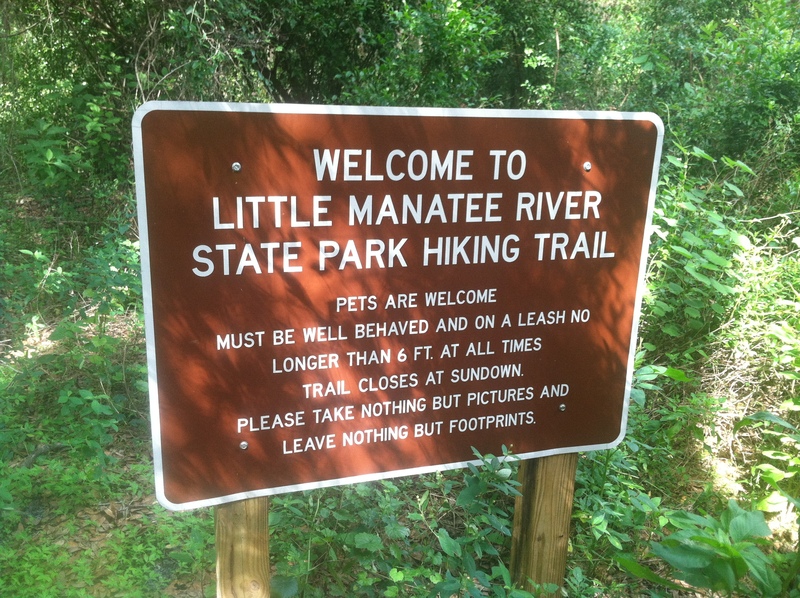 This weekend, Bill and I headed over to the Little Manatee River State Park to go for a hike in preparation for next month’s trip. 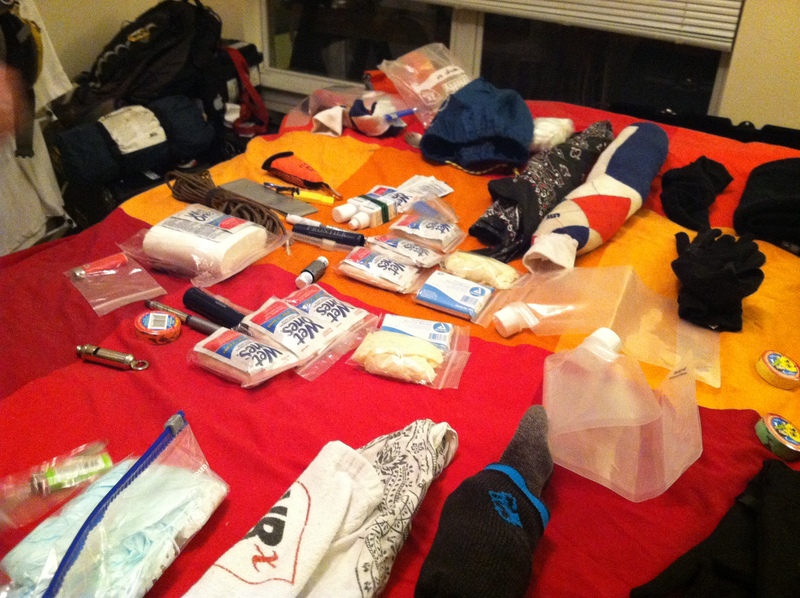 We packed our kits the night before with most of the things we’ll be taking to Alaska, but wouldn’t necessarily need for a day hike. Things like our tent, sleeping bags, sleeping mat, and cookware were all packed in so we could get an idea of how heavy our packs would be. Lucky for me, Bill carried the tent and the cookware. 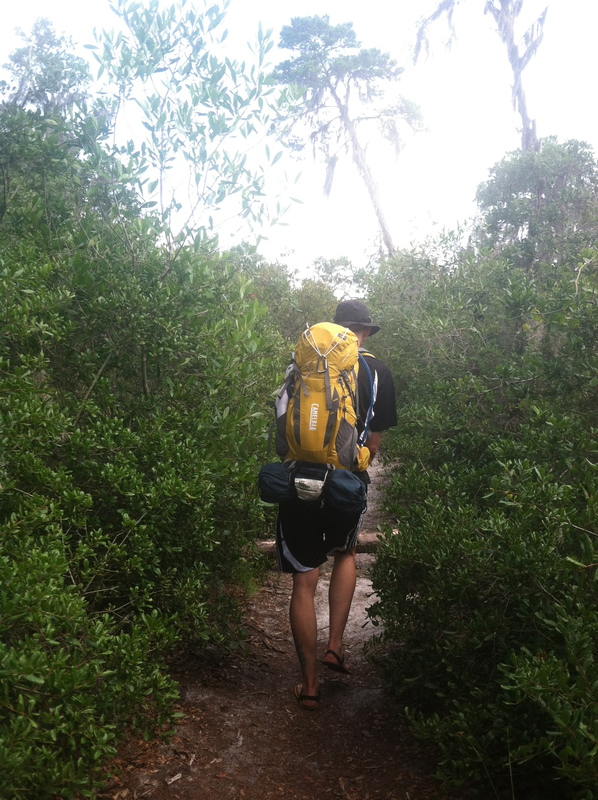 With my basic pack, minus food, I’d say I was running about 15 pounds on my back. We arrived around 10:30am, a little late for a summer hike in Florida, but the expected temperatures weren’t too outrageous. The first lesson we learned was bug spray is an absolute necessity! We were immediately attacked by a swarm of mosquitoes so we scrambled to find the our bug repellent wipes in our packs. Luckily they were easy enough to find, so we covered ourselves as fast as we could and hit the trail. 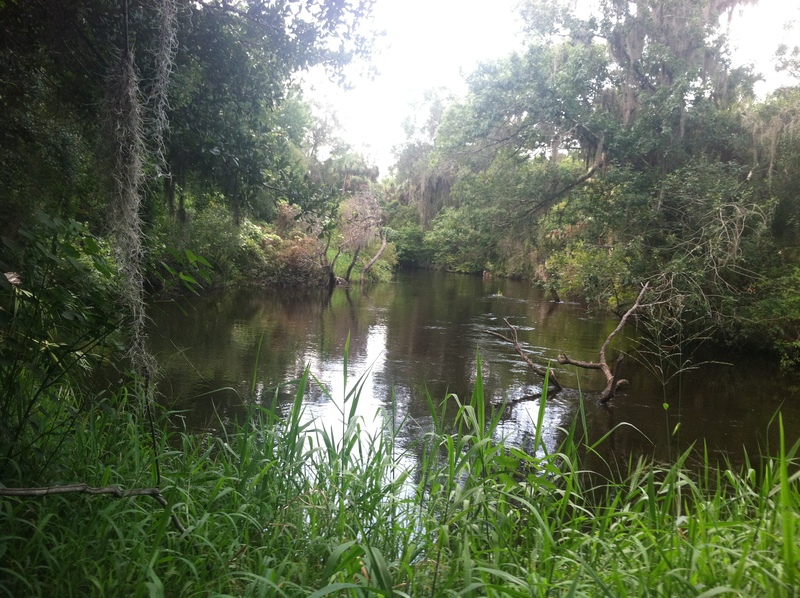 Hiking in central Florida is…well…kinda boring. The land is flat, there’s lots of scrub lining the trail, and the scenery pretty much never changes. Luckily this trail got a little more exciting as we got further into it-but not by much! We crossed over some water-rivers, streams, creeks, not sure what to call them, and we stopped a few times to look and listen for wildlife. 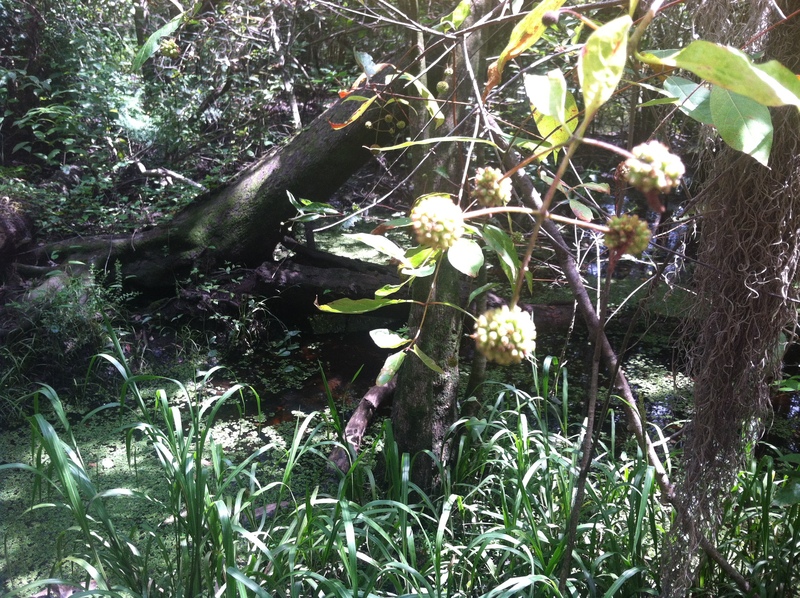 I was hoping for some gators, but unfortunately we only saw more insects flying around. 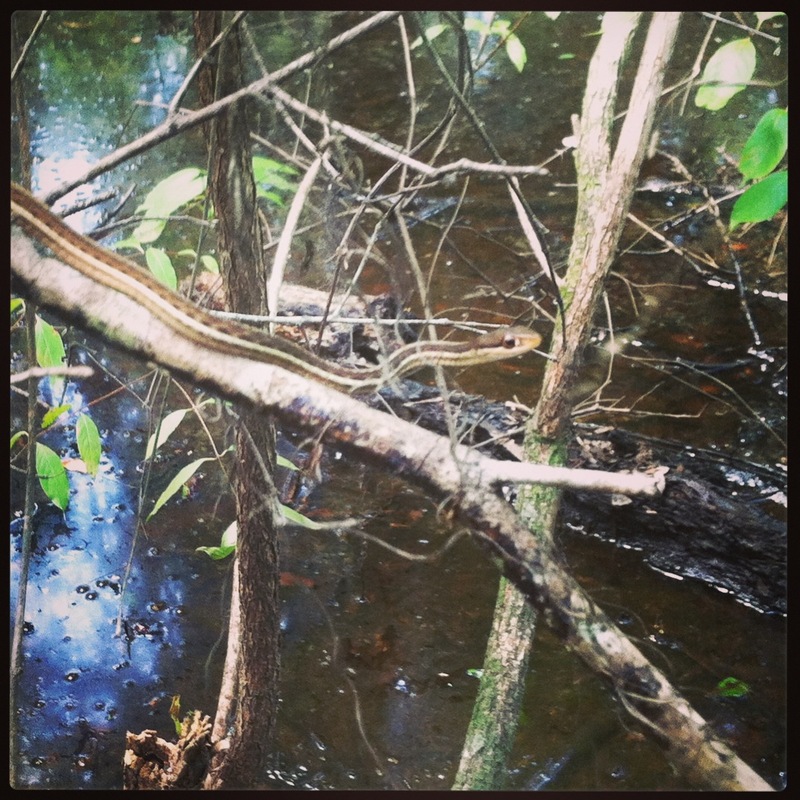 We laughed about how I nearly strangled the snake, which distracted us from the swarms of mosquitoes pestering us more incessantly now that our bug repellent had started to wear off. 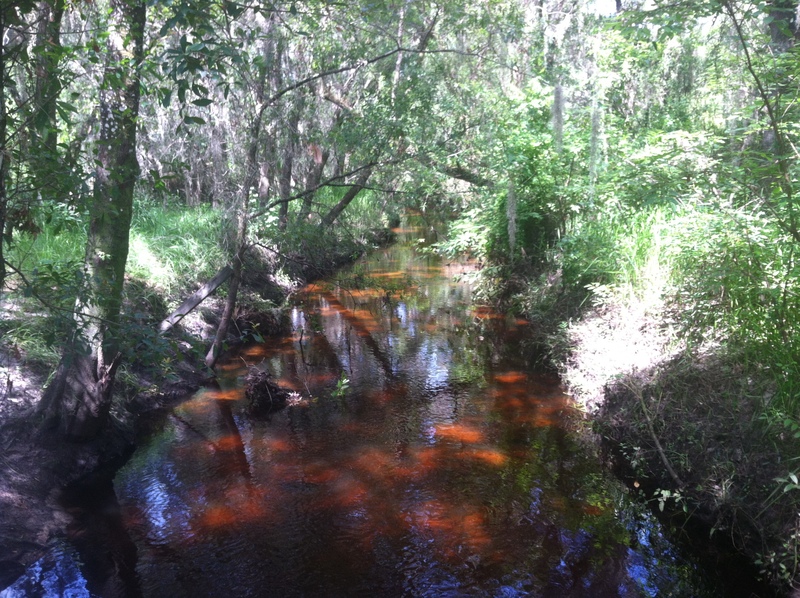 About a mile and a half from the trail’s end, we decided it was absolutely necessary to reapply. Since we had already used up the wipes we had put in Bill’s bag, he rummaged through my bag for the others. My bag is only top loading, so Bill took out the different things we had packed in search of the bug repellent. Meanwhile, I had been good about staying hydrated on our hike, so I was a little uh, distracted. I mindlessly took what he was handing me, and when he found the wipes, I started repacking my backpack so I could run off to relieve myself. I clearly was not paying attention, because when I came back, Bill asked me where the bug repellent was. Uh, I thought I had left it on the bench…Lesson number 2: When Steph has to pee, she becomes a total ditz and repacks what was intended to stay out of the bag. 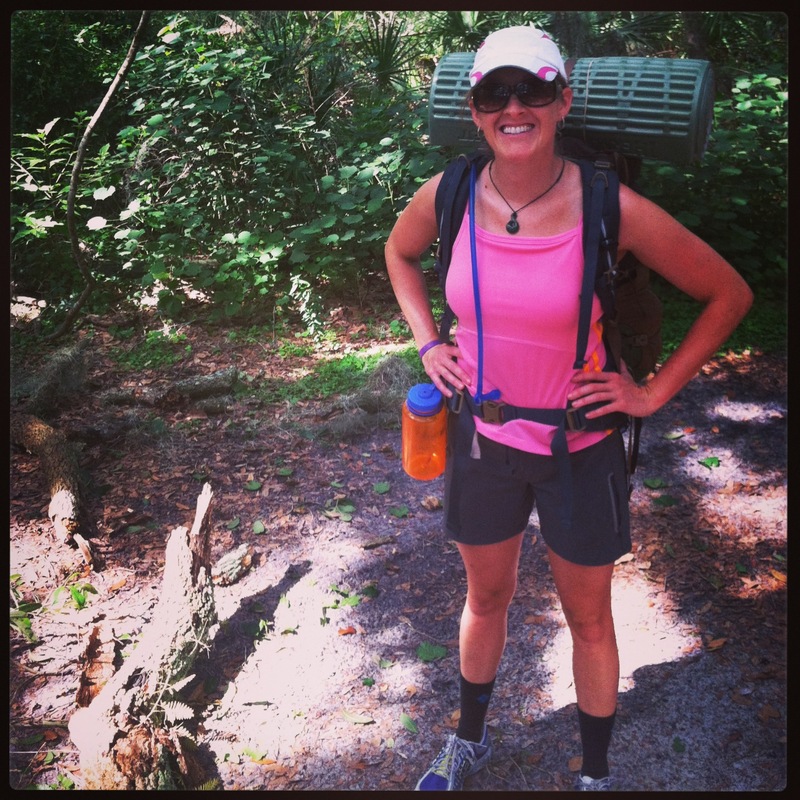 Lesson number 3: pack the bug spray on the outside of the backpack! We were getting eaten alive while looking for the wipes a second time, so we threw in the towel and decided to hike the last bit of trail at a good clip to avoid the bugs as best we could. After about three hours, we finished our nearly six mile hike. This is about half of what we’ll need to do per day when we’re in Alaska- and that will be on much more challenging terrain. I’m a little nervous about it, but I think we’ll be able to tough it out. The trip is only 3 weeks away now- it’s creeping up on me, faster than I expected! I’ve got a a few more details to get all planned out so I better hop to it!